Uranus is the seventh planet out from the Sun, and the first to discovered in recorded history. Although it is technically visible to the naked eye, it shines faintly enough that it appears to be just another tiny dot in an ocean of stars. It is so inconspicuous that even though it appears in some of Galileo’s sketches of Jupiter as a tiny star in the background, he never noticed it moving between viewing sessions. It wasn’t until 1781 that astronomers would discover that there were planets in our Solar System beyond the classic five. 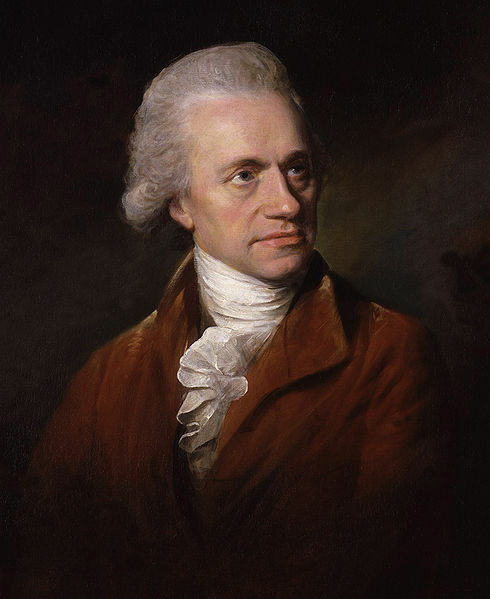 William Herschel was born in Germany, but spent most of his adult life in England. After many years working as a musician (teaching, performing and conducting), he became interested in astronomy and optics, and began reading books on the subjects. 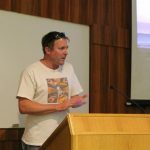 It didn’t take him long to develop superior techniques for constructing reflecting telescopes with speculum mirrors and was soon turning out some of the most powerful instruments in the world. On 13 March 1781, while performing a survey of the stars using a six inch Newtonian telescope, he noticed a small round object in Taurus. When he looked again four days later, it had moved visibly so he assumed that he had discovered a comet and announced his discovery. Other astronomers did not have access to the sorts of telescopes that Herschel was making for himself, so they saw only a faint star. They were able to confirm that it was moving though and monitored it carefully. To everybody’s surprise, its orbit turned out to be almost circular and was so far out that it had to be quite enormous to be visible at all. This mystery object could only be a new planet! Try to imagine the impact of this discovery: For the very first time in history, a new celestial body had been discovered. Since antiquity it had been an established fact that the sky contained one Sun, one Moon, 5 planets, and lots of stars, but suddenly that was all wrong. The entire universe had just become bigger and everybody was keen to get in on the act and see what else could be discovered. Herschel decided to name his new planet after King George III and this, together with his new celebrity status, led to his election to the Royal Society. The king also granted him a financial stipend, enough that he could afford to stop working in music and become a full-time astronomer. Sadly for both Herschel and King George, astronomers outside of England didn’t appreciate his patriotic gesture. They didn’t want the new planet to be named after somebody else’s king. Over the years various suggestions were put forward, until a German astronomer named Johan Elert Bode suggested Uranus. His reasoning was simply to adhere to tradition. 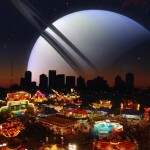 After all Mars was a son of Jupiter, who was a son of Saturn, so the next planet should be Saturn’s father. It must have seemed strange that Bode should choose to use a Greek name, instead of the Roman used for all the other planets, but the idea gained traction and it did not take long for the name ‘Uranus’ to be universally accepted. Uranus was the father of Cronus (or Saturn, to the Romans). He was one of the primeval gods, far removed from humanity, who represented elemental forces of nature. Uranus was the embodiment of the sky and supreme ruler of the universe, while his wife Gaia was the Earth. Once a day he would come down and cover her, causing nightfall. She became pregnant, and gave birth to three monstrous creatures, each with fifty heads and a hundred hands. The next three children were cyclopes, giants with one single eye. Uranus feared these creatures, and had them imprisoned deep within the bowels of the Earth. This was extremely unpleasant for Gaia, not only because of the way her children were being treated but because of the physical pain that their thrashings and attempts at escape caused her. After the cyclopes, she bore Uranus twelve gods, the Titans. She begged each of these Titans to help free her first children from their prison and deal with Uranus but only the youngest, Cronus, responded to her pleas. Lying in wait for his father, he ambushed him with a stone sickle and castrated him. 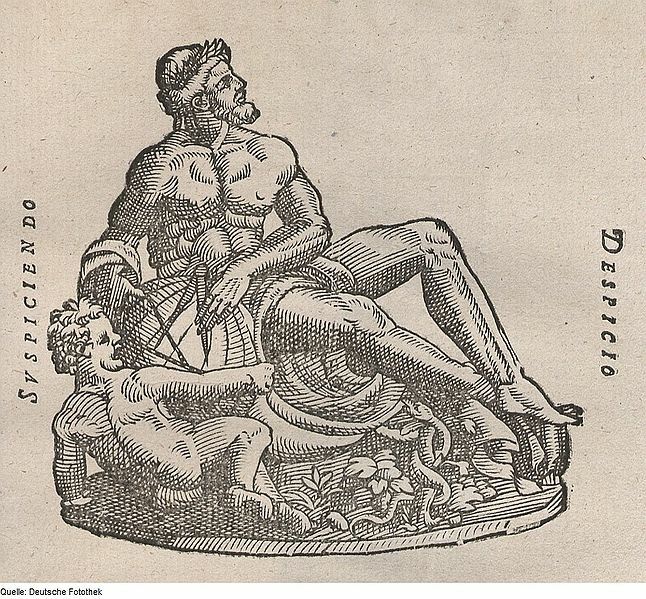 This is how Cronus usurped Uranus’ position as supreme being, and freed the cyclopes and the giants. Uranus was certainly a strange character – cold, inhuman, distant, unfathomable – and matches up quite well with his Planet. Most people see Uranus as a distant blue-green spot through binoculars or small telescopes and the view doesn’t improve much through bigger instruments. Although it is one of the gas giants and thus very large, it is also extremely far away from us which is why it is so hard to see. Average distance from Earth to Uranus is a little under 2.6 billion kilometers. This means that if you were to shine a laser pointer at Uranus, the red dot would take two and a half hours to arrive. Miranda, Oberon, Titania and Umbriel). When the Voyager spacecraft visited Uranus, they expanded the satellite count to 27 and revealed some very surprising facts. Not only does Uranus have a ring system like Saturn’s (only fainter), but the entire planet is on its side! While Earth’s axis is tilted from the plane of its orbit by only 27.5°, Uranus’ orbit is tilted by a full 98°. On Uranus, the equator is cold while the poles have hot balmy summers! Nobody knows for sure how this could be, but the most popular theory is that a planet about the size of Earth must have collided with Uranus some time in the distant past, knocking it’s axis off centre. 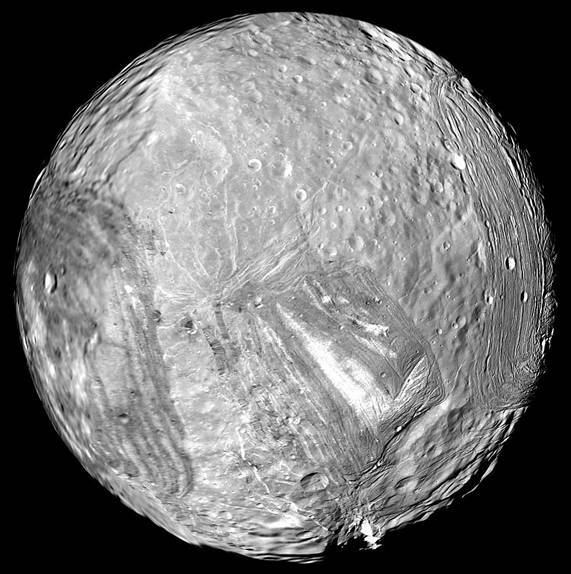 Interestingly, by the time Uranus’s moons were given names, astronomers were starting to run out of mythological characters, so they went with a Shakespearean theme instead – mostly faeries from A Midsummer Night’s Dream. Uranus may seem pretty uninteresting when compared to most of the other planets, but we shouldn’t ignore it. It has the same cloud and spot features on it’s gaseous surface as Jupiter, and some of the most mysteriously marked moons in the entire Solar System. It has smog, from sunlight breaking down atmospheric methane and as faint as it is, it is still the most distant planet visible from Earth with the naked eye. Why not do a bit of homework and find out where it is? Break out the binoculars and see if you can spot that faint blue-green dot, as William Herschel did that fateful night 229 years ago?